From his position as one of the greatest UFC fighters, Jon Jones had descended into an unfamiliar oblivion. The fan love that drove his previous comebacks had vanished and depression was lurking around the corner. Whenever Bruce Buffer theatrically announced these words, chills would run down my spine. Not only because Jon Jones is arguably the greatest mixed martial artist of our time, but also due to his triumph over everything life has thrown at him. Many people downplay the mental fortitude it takes to be a professional UFC fighter, but add on all the barricades that Jones has had to circumnavigate, and the challenge is akin to scaling Everest. When he came into the UFC, he basically steamrolled through all would-be challengers to his light-heavyweight crown. Whether it was wrestlers or boxers, Jones fought, and mauled, them all. It seemed almost impossible how easy he made it look. Then, out of nowhere, his whole life took a turn for the worst. A felony hit-and-run in 2015, that left a pregnant woman in critical medical condition, led to him being stripped of his title and ridiculed by all around him. Ideally, this would shatter most individuals and lead them to shy away from returning to the ever-judging global spotlight. However, Jones dug deep within himself to admit his mistakes and take his suspension with pride. Instead of sulking, he took the time to perfect his craft, and, when he came back to the octagon in 2016, Ovince Saint Preux was no match for his improved skills. By now you must be thinking a mere suspension is not enough to warrant all the praise I am showering on Mr. Jones. Many professionals face bigger challenges so why would I choose him? Well, it only got worse from there. Just as the public began to regain confidence in him, disaster struck again. An impromptu drug test by the United States Anti-Doping Agency (USADA) found illegal substances in his system believed to be performance enhancers. As an avid Jones fan, I was livid. Everything in the octagon seemed to come so natural to him, but now we had to question whether this was due to an unfair advantage the drugs had engineered over the competition. In a bid to calm the media storm, Jones came out with his typical brash attitude and blamed sexual performance enhancers for the tainted blood sample. His failure to take responsibility for his actions only served to worsen his public image. 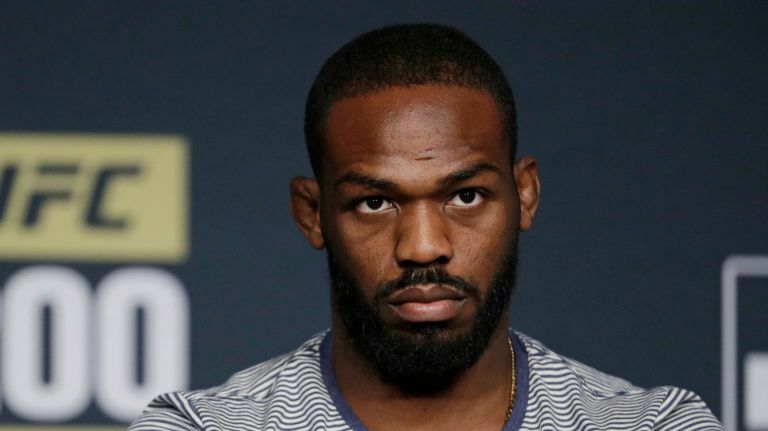 Still determined to maintain his legacy, Jones accepted USADA’s one year ban and took this time to “reconnect with family and find his true self”. To many, this seemed like a PR gimmick to sweep his transgressions under the mat. Fast forward to July 2017 and Jon Jones is back in the UFC with a brand new attitude. Gone are the snide taunts that his pre-fight press conferences were famous for; now, all he wants to do is repay his loyal fan base for all he has put them through. His comments are calculated, his threats, all the more intimidating. The fight with Daniel Cormier was one of the greatest mixed martial arts fights ever with Jones knocking him out in the third round to regain his light-heavyweight championship. Unfortunately, life was not done teaching Jones a lesson. Another failed USADA drug test led to Jon facing a lengthy four year ban and possible exile from the UFC. Although die hard fans had stuck by him through the first few scandals, they felt that this was enough. Media outlets, as well as some of his peers, criticized him vehemently and categorized him amongst the cheats every sport wants to eradicate. From his position as one of the greatest UFC fighters, Jon Jones had descended into an unfamiliar oblivion. The fan love that drove his previous comebacks had vanished and depression was lurking around the corner. Personally, despite my favoritism towards him, I threw in the towel and chalked his career up to one of the greats who failed to actualize his potential. However, Jones never gave up. His positivity and insistence to fight the charges led to a reduced fifteen month suspension. Even in his worst professional moment, he still held hope that he could bounce back. On December 29th, Jones makes another comeback to the octagon to once again try to assuage any doubts over his greatness. In typical Jon Jones fashion, he selected the most daunting opponent available in the light-heavyweight division; the hard hitting Swede, Alexander Gustafsson. Despite everything that he has been through, Jones still believes he is the best and is willing to prove it against a daunting challenger. If that does not make you believe in mental fortitude, I don’t know what will. Kevin Misaro is a professional blogger at The Rowdy Student where he tackles the challenges prevalent in modern day university life. He is also a Thrive Global Campus Editor-at-Large tasked with providing incisive content on the strenuous mental toll college students encounter throughout their time on campus.